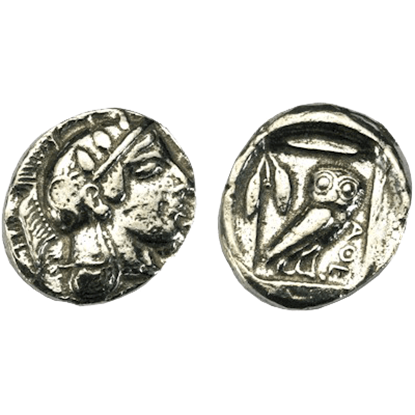 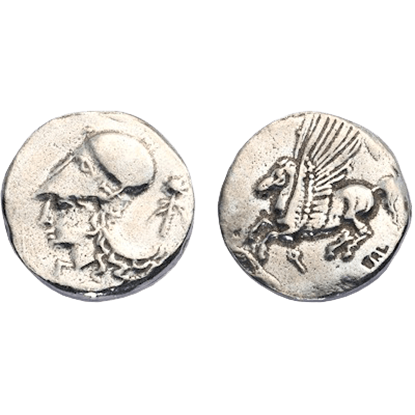 This is a reproduction Corinthian Silver Didrachm Coin with Athena wearing a helmet on the obverse and a flying Pegasus on the reverse. 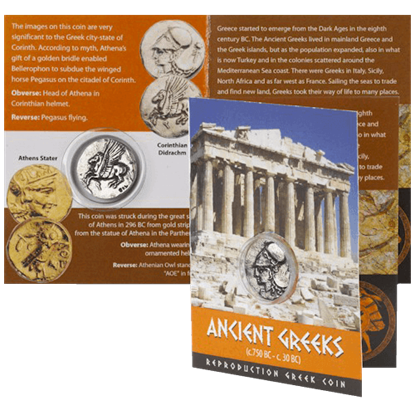 These Corinthian Silver Didrachm Replica Coins come 10 in a pack. 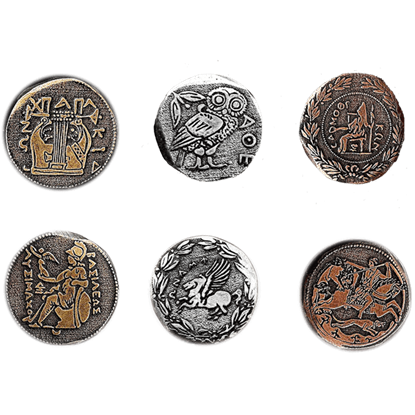 Whether your tabletop campaign sees you as an Athenian waging war with Sparta or as a philosopher sitting around a table discussing life over mugs of hemlock, you need the right props. 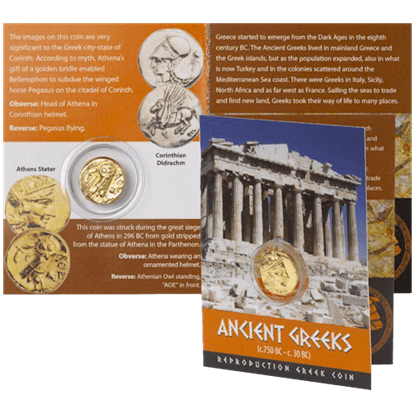 Bring your game to life with the Greek Coin Set. 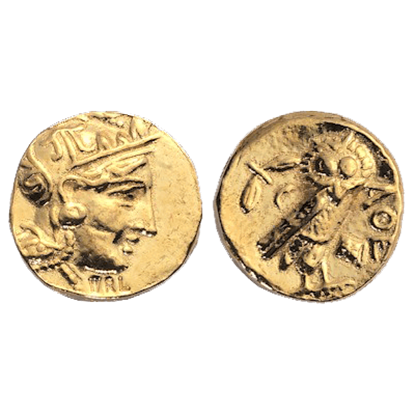 You are among the fiercest warriors who have ever walked the Earth, but half of every conquest is seizing the economy. 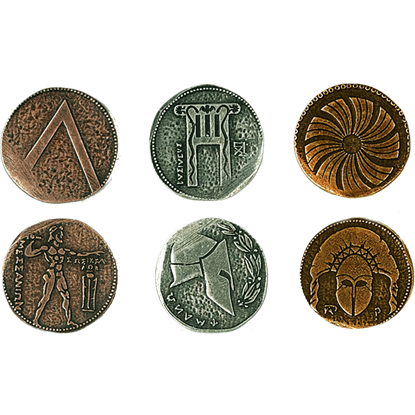 Establish dominance over your tabletop gaming session when you put the Spartan Coin Set into circulation.